I’ve done chocolate pudding many, many ways over the years. And it’s nearly always good. But from this day forward if you come to my house for dinner, and I decide chocolate pudding might be a nice finish to the meal, this is the recipe I’ll be using. 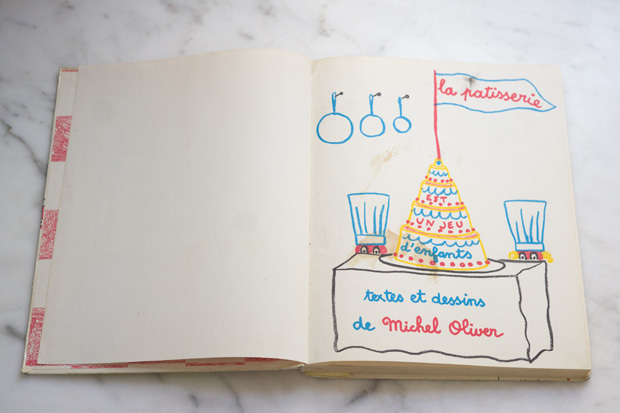 It’s from a whimsical, illustrated French children’s cookbook published by Random House in 1966, La Patisserie est un Jeu d’Enfants, with text and drawings by Michel Oliver. The pudding completely caught me off-guard, in the best way possible. 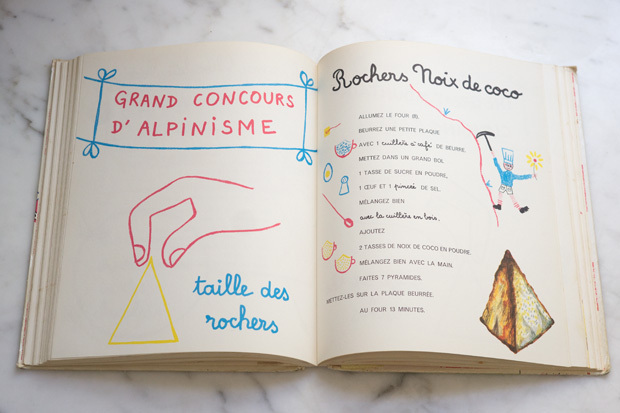 This is not like a typical American chocolate pudding, it has no milk, cocoa powder, or cornstarch – which makes sense because it is from a French book. This is more of a deep, concentrated, dark chocolate mousse, although if you’re used to chocolate mousse that has whipped cream folded in, it’s different from that as well. The key here is good chocolate, then a gentle touch bringing a short list of common ingredients together, and the bit of patience required to let the pudding cool and set. That last part makes all the difference. 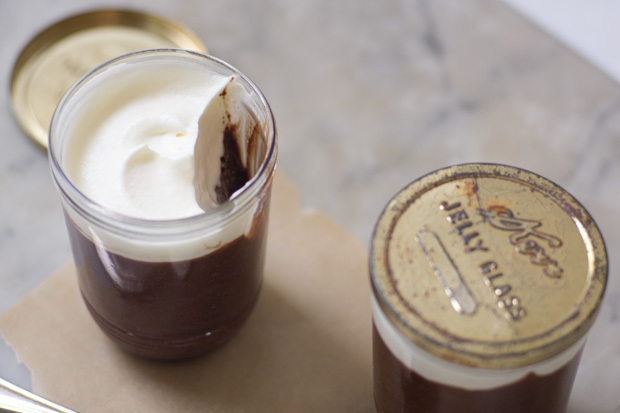 Time in the refrigerator allows the pudding to set into the densest dark chocolate cloud imaginable, the consistency of whipped frosting. I’ll make note in the recipe below, but you’ll want to use good-quality chocolate in the 60-80% range – semi-sweet to bittersweet. Aside from the chocolate, you’re only adding a bit of water and butter, a sprinkling of sugar, and two eggs, so don’t skimp on the quality of ingredients here, there’s really no place to hide. As you can see up above here, the book itself is incredibly charming. The edition I have alternates French and English pages, so you’ll have a page in French, then the same page in English. 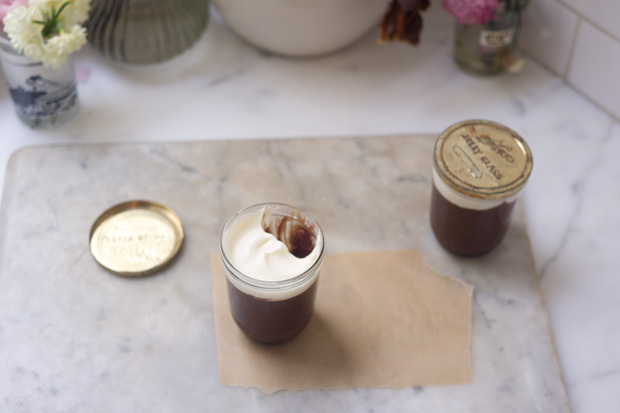 The French title for this recipe is “Glissade” which they’ve translated on the following English page to Slippery Chocolate Pudding – which made me smile. 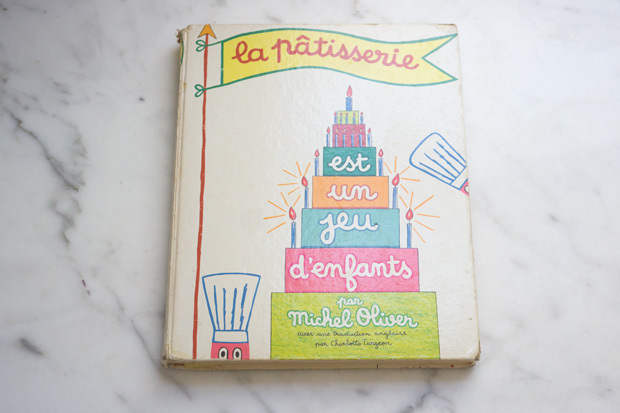 Keep your eyes peeled, you can find copies of La Patisserie est un Jeu d’Enfants (Making French Desserts and Pastry is Child’s Play) here and there if you look around. Previous articleLulu’s Baked School Lunch Brunch!